When your doctor says check your feet? Prevention is key. Make sure you’re appropriately managing your diabetes because your blood sugar levels affect blood circulation. Daily foot inspections, you can use a Telescoping Foot Inspection Mirror, where proper shoes and early identification of potential problems are important to maintaining an ulcer-free foot. Everyone with diabetes should consult a podiatrist at least once a year. 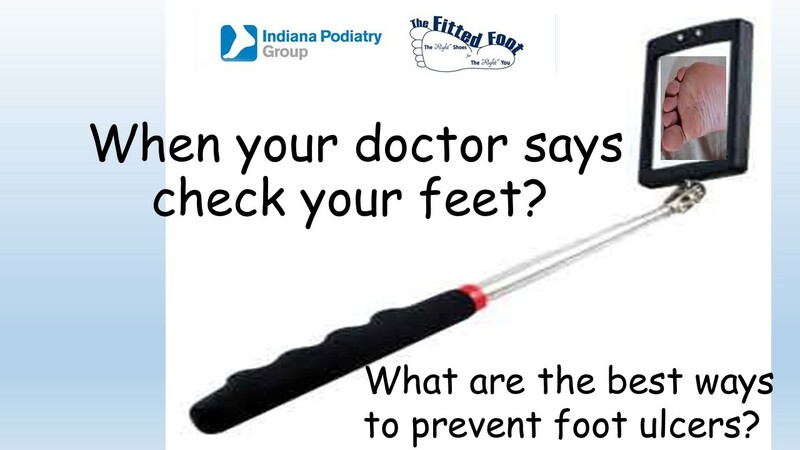 If your podiatrist identifies foot issues, you may visit more regularly for preventative care.